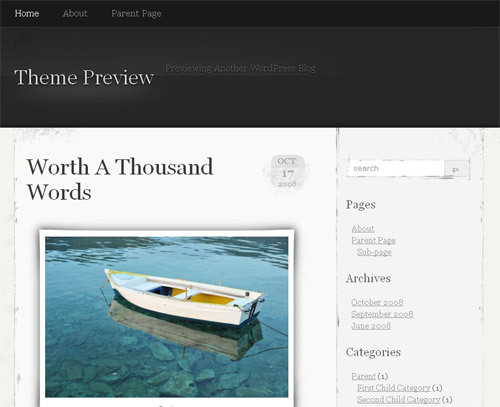 The price of custom-made WordPress themes can vary from $100 to $1000 or even more than that. Not all the bloggers are rich enough to bear these expenses. 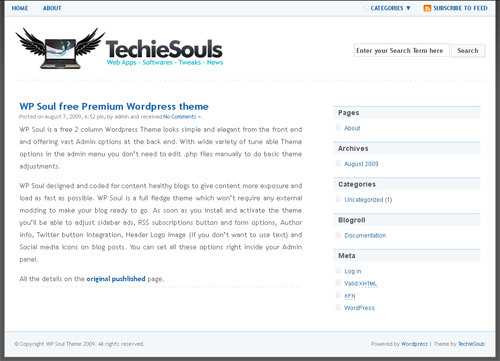 Even the premium WordPress themes are out of range for most of the bloggers that don’t cost much to the users. So if you are a newbie blogger or you are running your blog just for your hobby and you are not earning from your blog then here are 16 free premium WordPress themes for you that you may consider to use on your blog. This collection represents all those free premium WordPress themes that I was planning to use on my blog when I migrated my blog from blogger to WordPress. So there are no low quality themes in this collection. .-= Dinesh´s last blog ..Firefox Is Celebrating Its 5th Birthday =-. I like the Thrilling theme because it is best in the list above comparing cleanliness . All nice themes you listed, but how is the support on those themes. I know many download free themes, but get stuck some time and there is no support for them. Others do offer support, but very slow. BTW, I have added this post for next Monday’s roundup on my blog. .-= George Serradinho´s last blog ..5 Free eBooks that could help your Business =-. 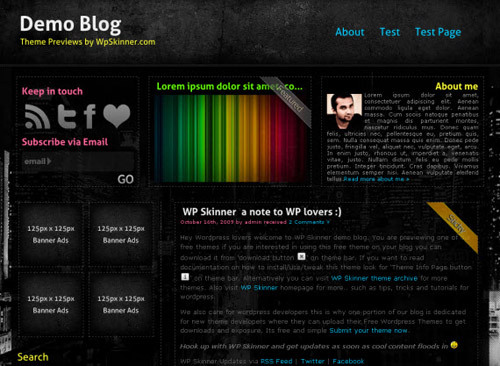 Some designers provide good support for free themes. But I think you can’t get good support with free themes as with premium themes. This is the only difference in premium and free themes. Its really nice to have these wonderful themes assembled together. 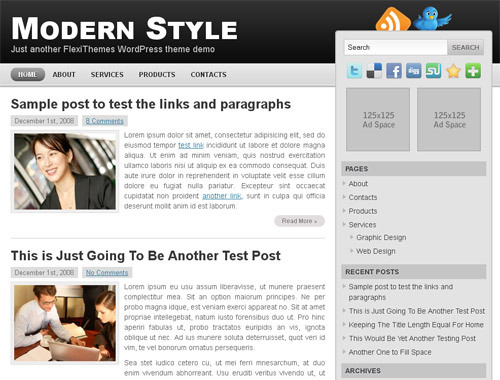 Yeah that will reduce the effort to find some great themes on various sites across internet. Nice List Simarn, I am using WP-Soul and it is really good. I am too using WP soul. This theme is awesome. 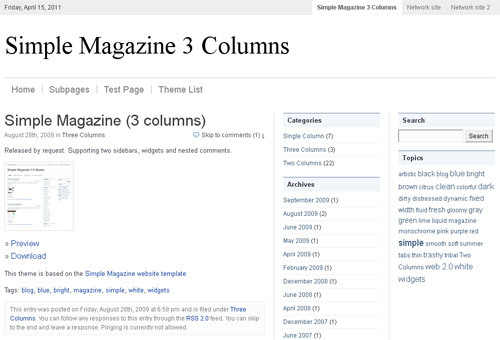 .-= mupet´s last blog ..How to create Mega Drop Down Menus with CSS & jQuery =-. Holy awesome themes! This is fantastic, totally bookmarking and sharing everywhere I can. .-= Loretta´s last blog ..20 Questions with Mommy Blogger Anne Younger of Forever A Younger =-. although they were promising free wordpress theme..some were lacking behind because of the SEO jucie and support provided by the premium themes.. anyways thanks for the list..
Well, basically I don’t really care about support or SEO. When you get something for free, there is no bargain. Besides, there are plenty of “out-of-box” SEO plugins for WordPress such as a All in One SEO. It works great for me. .-= Thilak´s last blog ..Google Commerce Search â€“ New Search Tool for Shopping Sites =-. Lovely List! I particularly liked TypographyWP v2.0 and Channel. This post makes it’s way into my bookmarks! .-= Thilak´s last blog ..Fours Reasons to Use Internet Explorer =-. I think it doesn’t violate Google’s TOS. I personally see nothing wrong with such implementation, but better be safe than sorry. Good thing you changed it. I like that CleanPress theme. 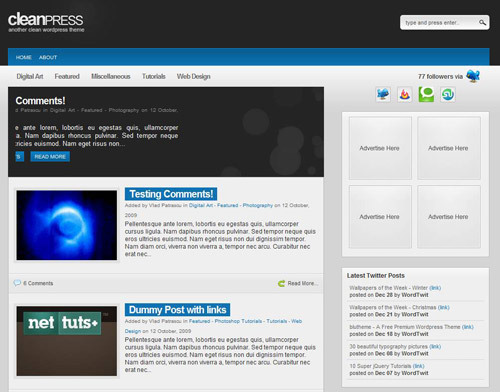 Meanwhile, I too going to release my wordpress theme in within a week. .-= BlogrPro´s last blog ..How to create a Comment Subscription Manager in your WordPress blog? =-. Cool. Let me know when you release your theme. You way want to include thematic – it’s a framework with a ton of hooks and widgets. .-= David Radovanovic´s last blog ..Itâ€™s All About Semantics â€“ Easy Website Tips No. 2 =-. 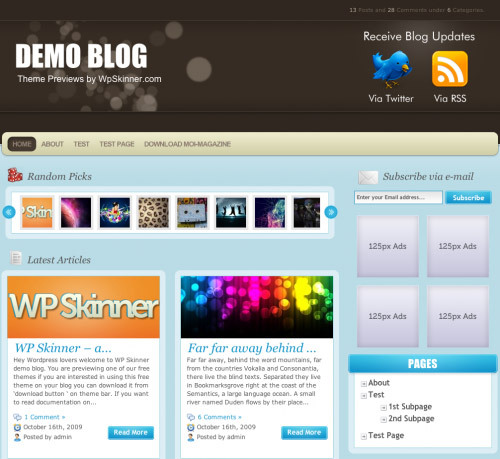 .-= wparena´s last blog ..Tools required to Develop a WordPress Plugin =-. All the above Themes collection looks kewl! Thanks for sharing. .-= Mayur´s last blog ..Change MP3 files Bitrate without losing ID3 tags =-. @Simran: There seems to be some issue with your Comment Subscription. Whenever a comment is posted here, I get multiple notification about the same comment. Looks like something is wrong with the plugin which you are using. Can you please look into that? My inbox is flooded with comment notification and manually deleting them is a pain. .-= Thilak´s last blog ..Google Dashboard â€“ Manage Your Google Services from Ones Single Page =-. Thanks for including the Guerrilla Theme. I truly appreciate being in the midst of these other awesome themes. 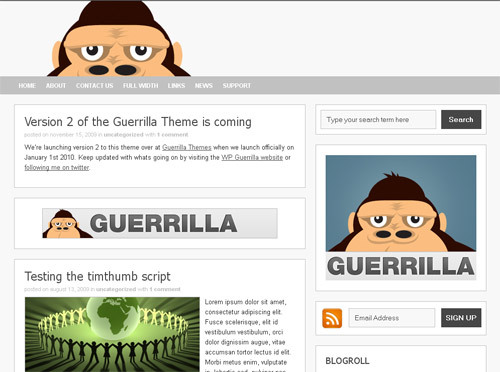 I’m currently working on version 2 of the free theme which will be released on January 1st 2010 on the GuerrillaThemes.com website which is also launching on that day. .-= Mike Smith´s last blog ..7 essential items from my Freelance Toolbox =-. I will be waiting for version 2 of your themes. The choice of WordPress themes now is incredible and with so many free ones out there, there is no excuse for not having a web site or blog !!!. So go to wordpress.org and get one… you might need a web designer to help you install it if you haven;t done this before !! Good luck ! Awesome collection simran. I really like free themes but the support wont be same as premium theme. I’ve designed my own theme for personal use. I might release it for the public use with some modification. Im a newbie in the design world. I think if we get a premium like theme for free then we can easily avoid the support. .-= Ricky ´s last blog ..Remove Ikee iPhone Worm Easily[How-to] =-. .-= Tek3D´s last blog ..AutoPost : Set Up Automated Money Blogs With RSS Content =-. .-= Amal Roy´s last blog ..Google Chrome OS Review : 7 Different things that make the New OS Unique =-. Damn Good collection.Hope i would have seen it earlier.Spent a hell lot of time in customizing my own theme. Post Tweeted . Cheers !!! I had used techi soul …but your list is impressive. I am glad that you like this collection. It seems like you are here after a long time ? yes dude because of my exams I am not able to come online for a moths…. who designed you’re theme ? Moi Magazine is the one I liked very much. also the channel theme is good. I love the Guerrilla Theme – thanks for sharing this list! nice selection and l did start to use one of theme and very fast. This is the best collection of free themes I have seen yet! Thank you! 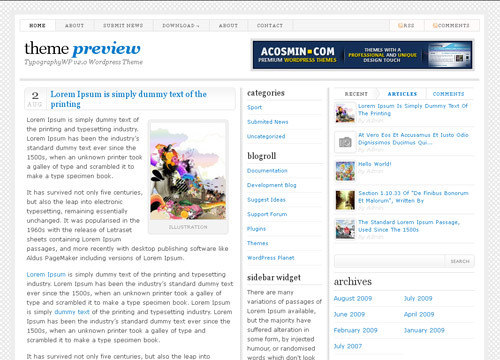 I was already using the cleanPRESS theme but I can see using some of the other themes on my sites. Thanks for your appreciation 🙂 I’m glad that you like my collection. Great themes. I’m gonna spend some time trying them. .-= Inqilab India´s last blog ..Such a simple rule =-. 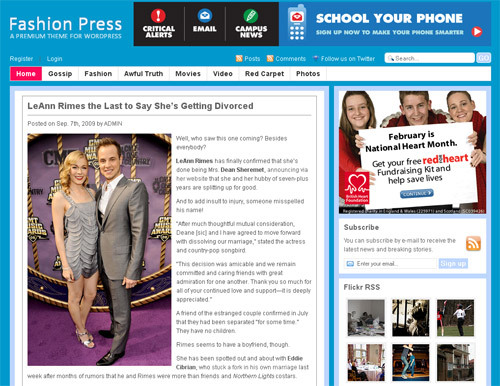 I really liked the clean PRESS theme.Thanks for the download option.I will download it and make use of it. I really liked all the themes. Its very hard to pick one from the above themes. .-= Prabhu Ram´s last blog ..DHL-Deliver Almost Everything!!!!! Mind Blowing commercials 5!!! =-. Nice collection. I am using it on a couple of test stites of mine! Thank you very much for yet another first-rate article. I am always searching for original themes to suggest to my readers. Thanks for creating this article. It’s exactly what I was searching for. Truly great post. Well all the mentioned themes are great reallly. If they have good active support community then obviously lot of people will be giving it a try for sure. Im using a heavily modified version of the motion theme. Works great for me. been following your blog for 3 days. really enjoy what you posted. btw i am doing a research relating to this subject. do you know other good blogs or forums where I can get more information? thanks a lot. Fantastic themes! 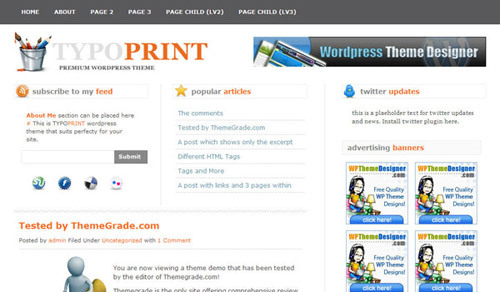 I can save money and not buy a premium wordpress theme! Free themes are best to save money but for those people who don’t know the coding part of the theme, premium themes are best as free themes don’t provide much support. Simrandeep, thats true, but if you know some coding, you can customize it yourself and course, some premium themes may be worth it such as thesis. 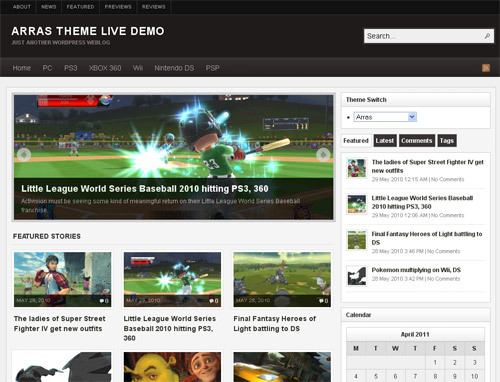 Some of those themes are better than premium themes i’ve paid for before. Thanks for consolidating this list! Most of those themes are better than Premium themes, It is very nice,Clean templates And Have A Decent Look.I like This Very Much. Very simple post,i never see like this! amazing collection such a great work. These themes are all beautiful and nice! I like them, especially the Fashion Press theme… next time if I setup a fashion related blog, I will make sure I use that theme! Are you planning to start a fashion related blog ? Nice Collection….But i like Moi Magazine……….thanks for sharing……. 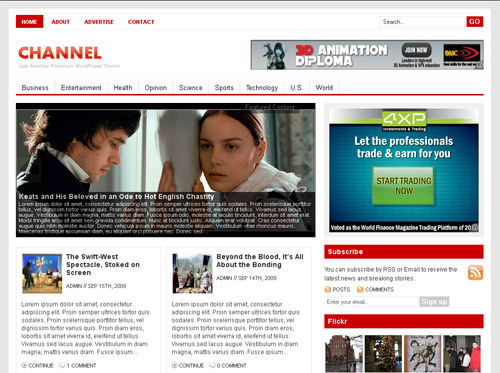 I’ve just put the Channel Theme on-line and I love it. Now all I have to do is translate some PHP code to Dutch, to make sure the menu’s look good. Thanks for sharing this. I couldn’t have designed any better without without a lot of long hours (and too much coffee). Now I can finally focus on doing what I like to do: writing stuff. 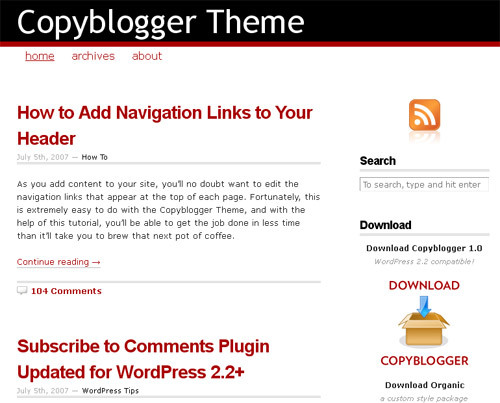 Great collection of WordPress Themes.I personally like the copyblogger theme very much. Pingback: Bookmarks » Call me Yaisog. 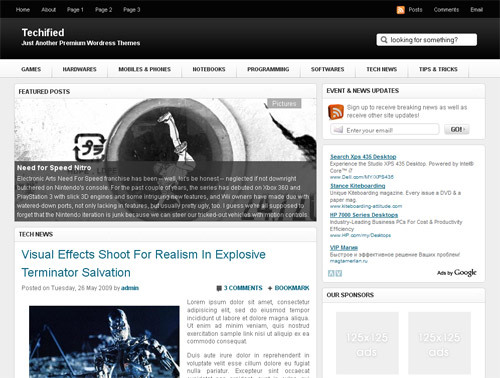 Pingback: 16 Free Wordpress Themes That Will Make You Forget Premium Themes | . ::Tek3D Weblog::.